BBC America has given the green light to the series The Watch, The Wrap reports. The series is an adaptation of Terry Pratchett’s City Watch collection, which is a subset of the larger, long-running Discworld novels. The thriller series, with will be eight episodes long, will feature several famous Discworld characters and settings, as the story follows the misfit cops trying to save their city that’s grown numb to wrongdoing. Simon Allen (Spotless, Das Boot) will pen the series, Hilary Salmon (Silk, Rillington Place) will serve as executive producer, alongside Ben Donald for BBC Studios and Rob Wilkins for Narrativia. Phil Collinson will also executive produce. “With events in our own world making the insanity of Discworld seem outrageously familiar, there couldn’t be a better time to bring Terry’s fun, fire and fury back to the small screen or a better place than BBC AMERICA. I’m grateful to them, BBC Studios and especially Rob Wilkins at Narrativia who has been a constant source of inspiration on this epic and emotional journey,” said Allen of adapting the material. In addition to The Watch, late author’s collaboration with Neil Gaiman, Good Omens, is currently being developed for a limited series on Amazon. 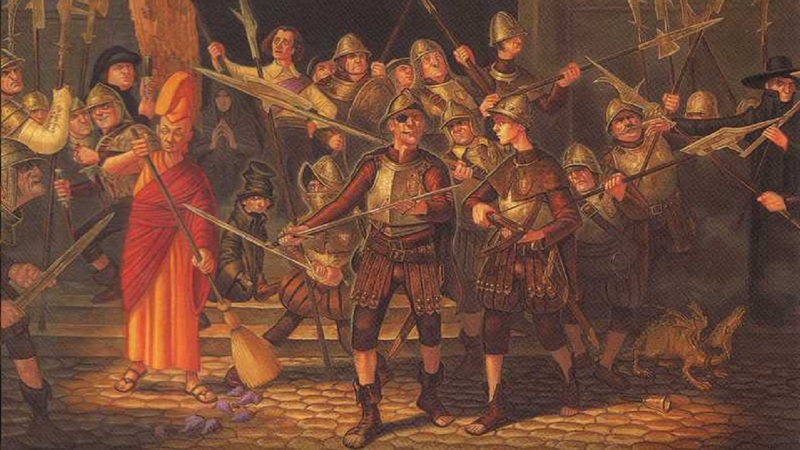 The post Adaptation of Terry Pratchett’s Discworld Novels Headed to the BBC appeared first on ComingSoon.net.